This weekend my husband and I celebrated 6 years of marriage and as part of my gift to him we went for afternoon tea at Patisserie Valerie at Cheshire Oaks. Now had you asked me a few years ago how I would celebrate anniversaries, or in fact how I would spend any child free time we managed to get, I can assure you an afternoon tea would not have been my answer. It would have been more likely that I would have suggested cocktails or dancing, something “young and fun” not “old and boring” but I take it all back. Patisserie Valerie has been popping up in my emails for months with pictures of glorious cakes and discount codes and then in the space of one weekend both a friend of mine and my brother both paid them a visit and spoke very highly of it and as I needed a sweet treat to go with the iron gift to cover all bases for 6 years of marriage I bought afternoon tea for 2 for £19 from groupon. We went on our actual anniversary, which just happened to be a bank holiday Monday, so I was expecting to be told we couldn’t use the voucher but was pleasantly surprised to find that we could. Despite it being busy we were seated within minutes and presented with an afternoon tea that could easily feed 3-4 never mind just 2 AND told that we could also have refillable hot drinks for not extra cost. We stayed for well over an hour enjoying all our sandwiches and cakes and copious amounts of coffee and flavoured tea and not once were we made to feel like we should leave or hurry up, despite there being a queue for a seat on a number of occasions. The staff were lovely and friendly and very attentive, offering re fills on drinks and encouraging us to stay longer and the food was delicious and fresh and as we were unable to finish everything they even offered to box it up for us so we could take it home. 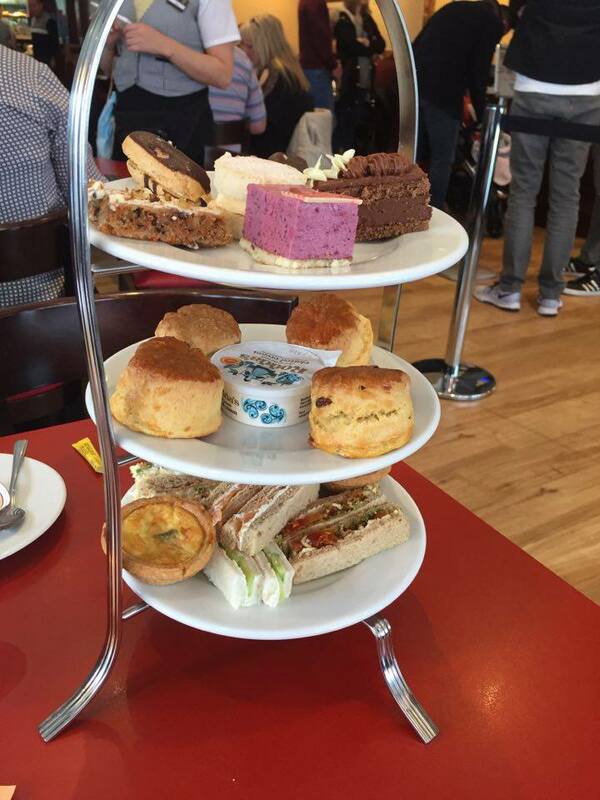 If you like coffee and cake I would highly recommend you go for afternoon tea at Patisserie Valerie and don’t forget to pop over to groupon and get your discount voucher code before they end, I might just have to buy another one!